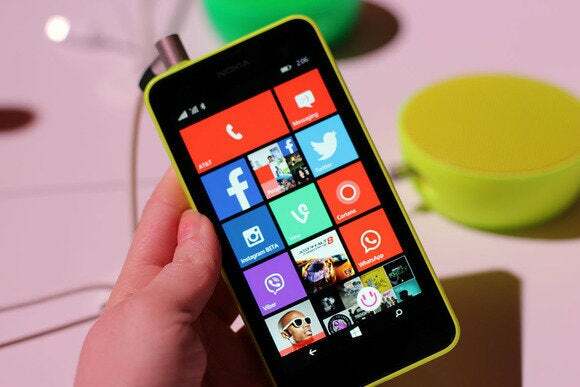 T-Mobile said Tuesday that it plans to launch the Microsoft Lumia 635 smartphone in early July, the first time Microsoft’s new Windows Phone 8.1 operating system will be available through a major carrier. T-Mobile said it will launch the phone first on the Home Shopping Network on July 5 to prepaid customers for an undisclosed price, then via the T-Mobile Web site for $0 down and $7 per month for 24 months ($168) with a postpaid Simple Choice Plan. If you’d like to wait a bit, T-Mobile will offer the phone online and in select MetroPCS stores for a substantially discounted price of $99 beginning on July 18. It will also be available in T-Mobile’s stores on July 16, the company said. T-Mobile and Microsoft have positioned the Lumia 635 as the successor to the Lumia 521, Nokia’s sub-$100 smartphone that it debuted last year, sans such niceties as an LTE. Due to the price point, however, the smartphone was a popular seller. The Lumia 635 lagged a bit with Windows Phone 8.1. Windows Phone’s flagship feature is ”Cortana,” its “Halo”-derived digital assistant that, while lagging behind Apple’s Siri and Google Now in our tests, is quickly making up ground. We did find, however, that the Lumia 635 was a bit laggy while running the new interface, perhaps due to its 512MB of system memory. 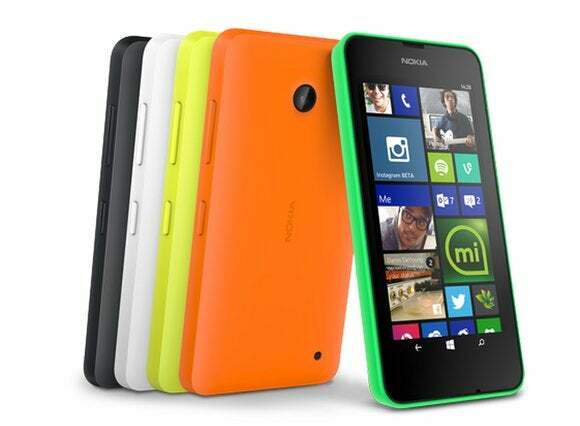 Because of its relatively low cost, the Lumia 635 doesn’t offer flagship specifications. Behind the 4.5-inch, 854x480 screen lies Qualcomm’s quad-core Snapdragon 400 running at 1.2GHz, plus the 512MB of RAM. On the plus side, Nokia included 8GB of onboard flash storage—plus a microSD card slot, which some Lumias lack. And the Lumia 635’s camera, which Nokia has used to differentiate itself, is rated at 5MP (megapixels) of resolution. And as for the Lumia 930, the carrier-independent, worldwide version of Nokia’s flagship Icon phone? “We don’t have anything to share about the Lumia 930,” a T-Mobile spokeswoman said via email. So if you’’re holding out for that phone, you’ll have to wait a bit longer.